The Children’s Place Jeans Only $6.99 + FREE Shipping – Today Only! 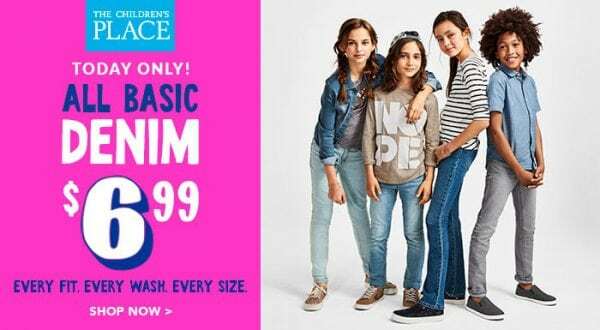 The Children’s Place has all of their basic denim on sale for $6.99 today only! Plus, all orders ship FREE every day. This is a fantastic stock-up price to grab some new school clothes. These are normally $16.50 – $19.50, so $6.99 a pair is such a great deal! Head over to The Children’s Place to check it out.